To meet the demands of a changing marketing landscape, marketers need to work smarter in order to speed up project cycles, streamline distribution, and automate repetitive tasks. 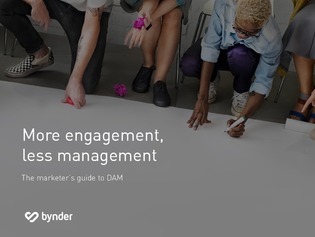 Digital asset management (DAM) can help marketers build strong, coherent brands by keeping distributed teams, creative content and brand guidelines in sync. Don’t find yourself at the mercy of 21st century content monster—make DAM software your new silver bullet, and beat the beast.